Happy Monday Everyone! I have good news to share. 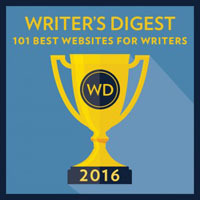 Literary Rambles made the Writer's Digest 101 Best Websites for Writers list. Casey and I are so excited and honored! Brigantine Media is announcing a brand-new contest for writers -- with a twist. Entries to the Publish or Perish contest include both a manuscript and a marketing plan. Winners receive a publishing contract for the book and a $2,000 advance against royalties. The deadline to enter in August 15, 2015. Writers can enter the contest at www.PublishOrPerishContest.com. The winner of Samantha Lien's consultation is Suzanne Warr! And the winner of ZEROBOXER is Stephanie Garber! Congrats! E-mail me so I can have your book mailed to you and the consultation set up. If I don't hear from you by the end of Wednesday, I'll have to pick another winner. 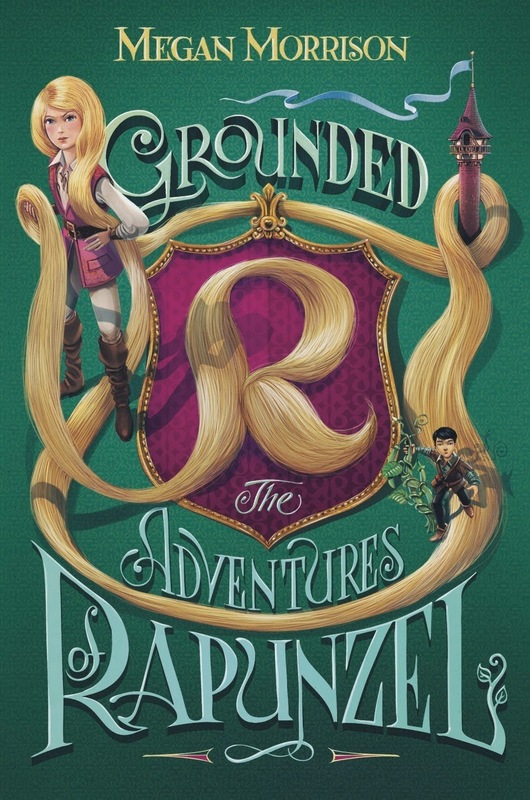 Today I'm thrilled to have debut author Megan Morrison here with a fantastic guest post and a giveaway of her YA fairytale retelling, GROUNDED: THE ADVENTURES OF RAPUNZEL. I loved fairytale retellings and Cheryl Klein is Megan's editor, so this is a must read for me. amazing thing to be able to say, and I can say it in great part because of my awesome editor, Cheryl Klein. It’s been eleven years since I first submitted GROUNDED for Cheryl’s consideration. She liked it, but not enough to want to publish it – yet. She gave me some very critical, very important feedback, and sent me off to try again. Smash cut to 2012. After a lot more writing and many life changes, I finally revised GROUNDED to my satisfaction. Even so, before asking Cheryl to read it again, I stopped to take one more step. 1) It would be insane not to consider the editorial advice of the editor I wanted to work with. After all, if by using her strategies I could better my work, maybe she’d decide that my work was worth publishing. 2) By letting Cheryl’s book guide me, I could get an early sense of whether we were really a good author-editor fit. 3) I needed to get some distance from the draft in order to decide whether it was really ready, and I hoped that the exercises in SECOND SIGHT could help me be a little more objective. Finally, even though I already knew Cheryl, I carefully read her chapter on query letters and paid close attention to her pet peeves. I crafted a query, sent it, and ultimately my dream came true. Cheryl acquired the book! - What did you want to do with the book? What did you want the book to do? - What is the story (briefly)? - What is the book about in a larger sense? - What do I love about the book? - What do I suspect needs some work? This was an excellent strategy for many reasons. It allowed me to articulate my hopes and dreams and wishes, and it asked me to identify my darlings (so that later, when Cheryl inevitably asked me to kill some of them, she would be able to make a diplomatic approach). It also pushed me to admit what I already knew were the weaknesses of the story, so that Cheryl would know exactly where I most needed and wanted assistance. It opened important lines of communication between us. Cheryl suggested that I make a chapter-by-chapter “map” of GROUNDED. This is essentially an outline of the book, just a few sentences per chapter, capturing the most important plot moves and emotional points in the story. This was enormously useful to both of us. For me, writing out the key moments in each chapter helped me to see that some chapters were acting as filler, while others were repetitive (revealing similar information, striking similar emotional notes, etc.) For Cheryl, the book map provided a short, easy-to-swallow version of the whole book that allowed her to see the whole arc at once so that she could more immediately determine which beats in the story were missing, which were excess, and which needed to be rearranged. In the end, it turned out that Cheryl and I were a very good fit for each other as author and editor. She is a note-giver; I am a note-taker. Her detailed, 18-page editorial letter and the frighteningly thorough line edit that came afterward were just right for me. As much work as it was, that level of attention and care made GROUNDED a better book. In fact, just before sitting down to write this post, I got to hold a hardcover copy of GROUNDED in my hands for the first time. I opened it to a random place and started to read, and – here’s the amazing part – I was able to keep reading without flinching. Nothing made me cringe (and you writers out there know just how big a deal that is). I am endlessly grateful to Cheryl for helping me to make my debut novel a book I’m truly proud of, and I strongly recommend SECOND SIGHT to anyone out there who is working on a children’s book and is ready to take that manuscript to the next level. Megan Morrison is a mom, a middle-school teacher, and the author of GROUNDED: THE ADVENTURES OF RAPUNZEL (Arthur A. Levine Books/Scholastic). GROUNDED is the first book in the Tyme series, co-created with Ruth Virkus. Visit her at meganmorrison.net. To order a copy of GROUNDED: THE ADVENTURES OF RAPUNZEL, visit Amazon, Barnes & Noble, or IndieBound. Megan is generously offering a signed copy of GROUNDED: THE ADVENTURES OF RAPUNZEL and a limited edition chainmail bookmark to one lucky winner. To enter, all you need to do is be a follower (just click the follow button if you’re not a follower) and leave a comment through May 2nd. I’ll announce the winner on May 4th. If your e-mail is not on your Google Profile, please leave it in the comments. On Monday I have an interview with Sabaa Tahir and a giveaway of AN EMBER IN THE ASHES, her YA fantasy that is one of the books getting lots of buzz. Next Wednesday I have an interview with agent Brent Taylor and a query critique contest. Next Saturday I'm participating in the May I Suggest Giveaway Hop. I'll have lots of great newly released YA choices or a $10 Amazon Gift Card for you to choose from. The following Monday I have an interview with debut author Krista Van Dolzer and a giveaway of THE SOUND OF LIFE AND EVERYTHING, her MG historical contemporary story. 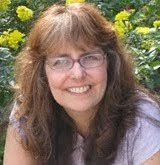 Wednesday that week I have a guest post by Donna Galanti and a giveaway of her MG fantasy, JOSHUA AND THE LIGHTENING ROAD. 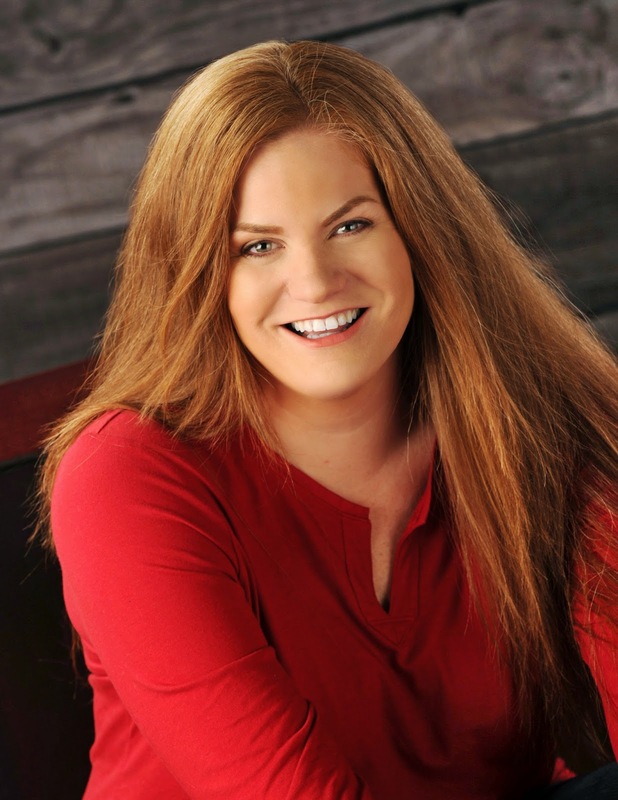 Donna was an intern with an agent and has lots of great advice to share on querying. Congrats to Megan. Sounds like a fun story and that cover is cute! That's pretty smart, using the book to provide your editor with just what she's looking for. 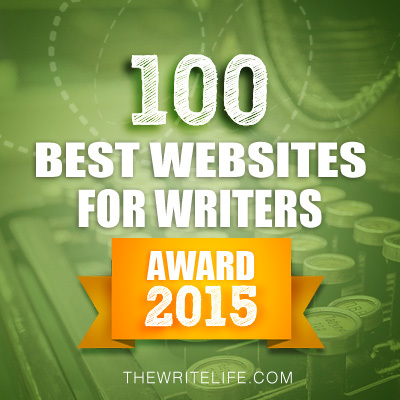 Congrats on making the Best Website for Writer's list! This blog is amazing! GROUNDED sounds really interesting, especially since I loved Disney's TANGLED. But wow--eleven years from start to publication. I can only imagine how discouraging that must have been at times, and I admire Megan's persistence in doing the best she could for her novel. Thanks so much for sharing! Great story idea. I enjoyed reading where the author story maps her chapters as I do the same. Long road for this one so best of luck! Sounds like Cheryl's book and editing skills really helped Megan write the story she wanted, an interesting (an humorous) take on the Rapunzel tale. Congratulations Megan! I have posted on FB and Twitter! A very smart plan and so pleased it paid off for Megan. Congratulations. Congrats to Megan. So happy to hear she stuck with it and revised until it worked. Sounds like a fun read. Great advice and such an encouraging path to publication. Can't wait to read Megan's novel! Yes, what a great publication story! And Grounded sounds like a book my daughter would really enjoy. Congrats to you and Casey on making the Writer's Digest list again! 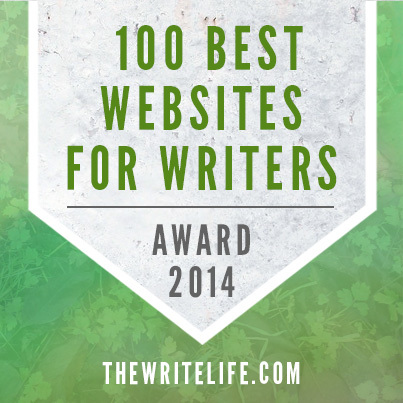 Congrats on making the Best Websites for Writers list! Also, congrats to Megan, so glad your persistence payed off. A chapter-by-chapter “map” sounds like a wonderful outlining tool. Can't wait to read Grounded. I tweeted about the giveaway too. Have a great week Natalie. Congrats on the book! It sounds like a great read. I'm half way through "Second Sight" and have enjoyed it. Now I'm motivated to finish and use it to polish my MS.
Congrats to the winners. Natalie, I will be tweeting this contest. @authorswrite Hugs, my friend. P.S. 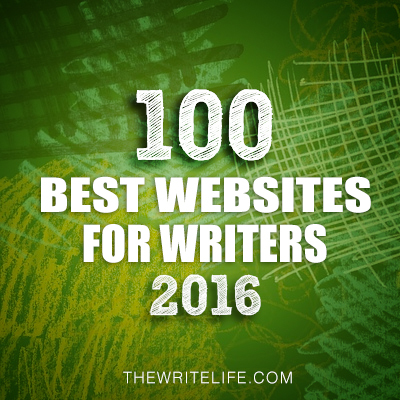 Congrats on you guys making the list of Best Websites for Writers! I wholeheartedly agree. That was really smart to pick up her book on editing. Bet it made all difference in the world. Congratulations on your first book!! And congratulations to Literary Rambles. That's an honor. This was such a great interview that bookmarked it for later reference and tweeted it. Thanks so much! I've heard Cheryl Klein speak at conferences. She seems amazing. This book looks like a great read. Congrats. Congrats, Megan! Your book sounds amazing. I love fairy tale retellings. I also loved hearing how you used Second Sight to revise your novel. What an amazing story of perseverance and finding the best editor for your book! That sounds like a great working relationship! Congrats on your book! Wow you are sure not a quitter Megan. You've been at it and not losing hope for 11 years. I truly admire you. Love the name of the book too. Congrats to Megan!! The books sounds amazing. Hugs to Natalie! Great interview - sounds like her advice was well worth it. And congratulations to you and Casey! This blog is wonderful and really reserves that honour. This book was already on my to-read list, it sounds really great. I love all the fairy tale spin offs and retellings that have been coming out. I can't believe it took eleven years to write Grounded! That means you were working on it way before the fairy tale craze or even Disney's Tangled came out. First of all, I heard the new about being on the 101 list, and HUGE CONGRATS! Second, I totally endorse the chapter map tactic. There's no method more powerful for focusing the flow of your plot than analyzing it on that level. Awesome advice! This sounds like a must read, one for the TBR list. Such an original take on the old Fairytale. Thanks, too, Megan, for sharing your journey with Cheryl B. Klein with us. She sounds like a wonderful editor, and her book sounds like another must read. Congrats on making the list, ladies!!!!! I love that strategy of writing your editor a letter with all those points. That ensures your visions for the book are the same. What a fun read this promises to be. Well done!! I like the idea of making a map of the book, putting in writing where the book starts, where it rambles to, and where it ends. In some ways, I did the same thing when putting together the facts for an accident investigation - using a timeline as the backbone. I think stories in general benefit from such detailed work. 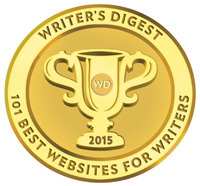 Congrats on being one of Writer's Digest 101 Best Websites for Writers. It's definitely well-deserved. Congrats to Megan! Grounded sounds awesome! Congrats on the website kudos! Wicked! Great advice on organizing, Megan. Congrats on a fun sounding book. Loved reading about your journey to publication. Can't wait to read your book! Congratulations! I love fairy tale retelling and this one sounds so intriguing. I have marked it on my list and of course would love to win a copy. :) I also wrote down Second Sight because I am always working on improving my writing and from what Megan said about it- it is a must read! Congrats to Megan. I'm looking forward to reading this book, it's sounds interesting.